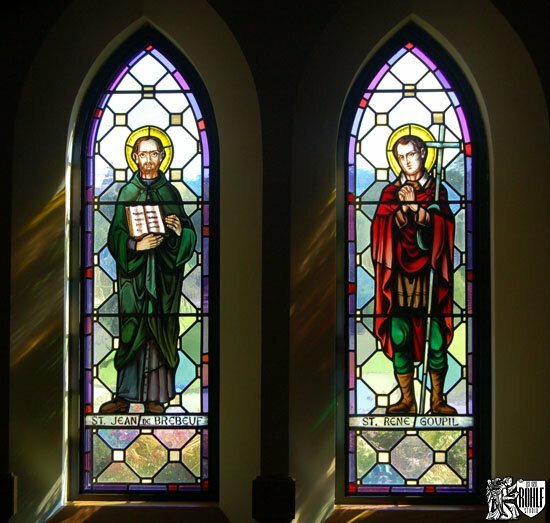 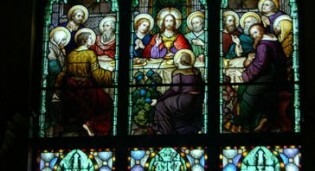 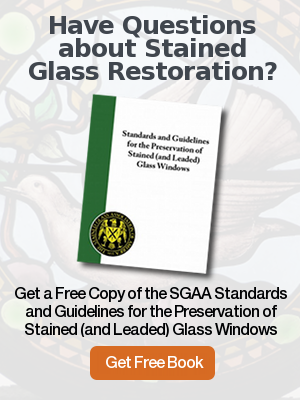 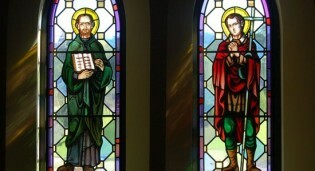 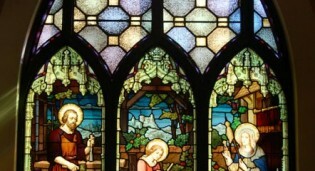 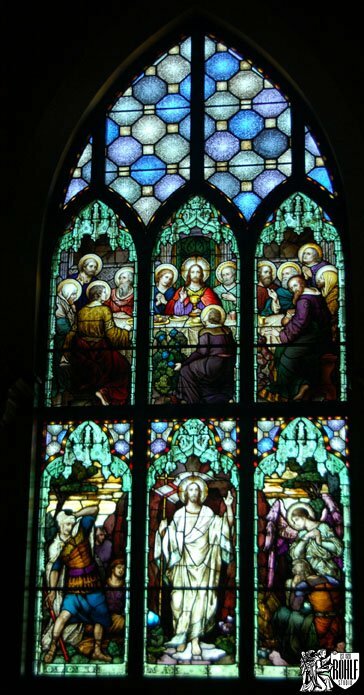 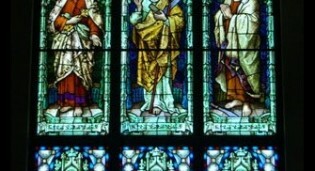 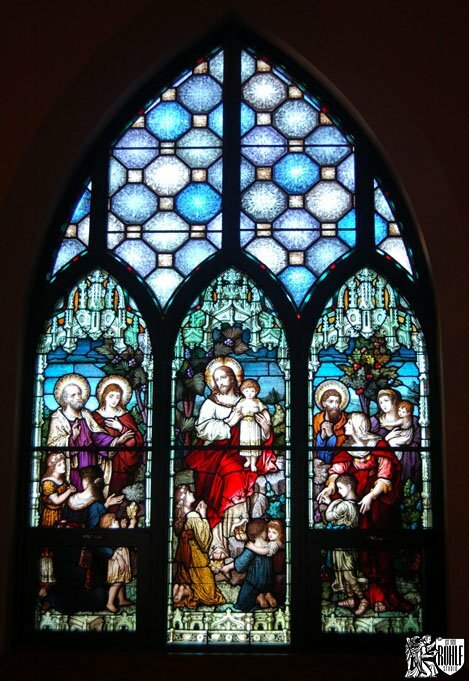 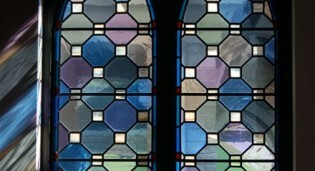 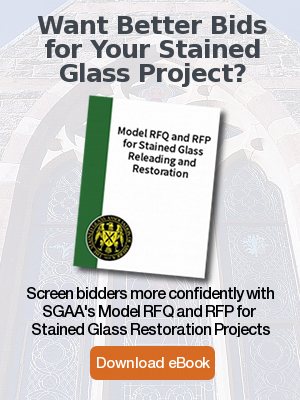 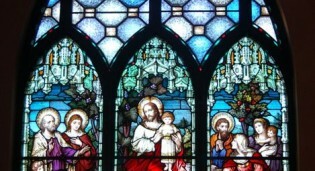 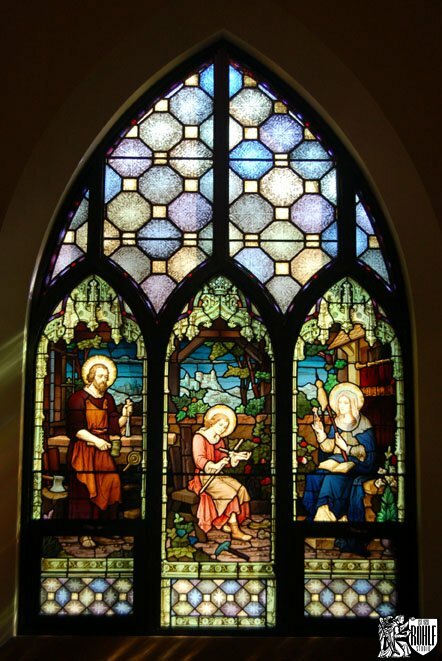 Rohlf’s Studio designed new stained glass windows as well as re-leading, restoring and installing new bottoms to the original stained glass windows at Blessed Kateri Church in LaGrangeville, NY. 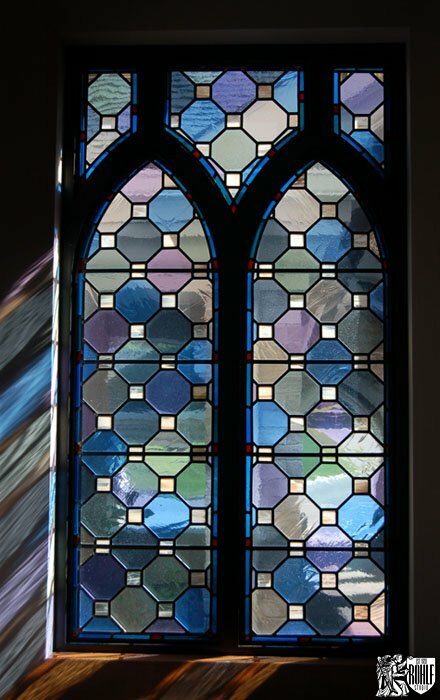 Stained glass window where the old window was re-leaded and then new bottoms were installed. 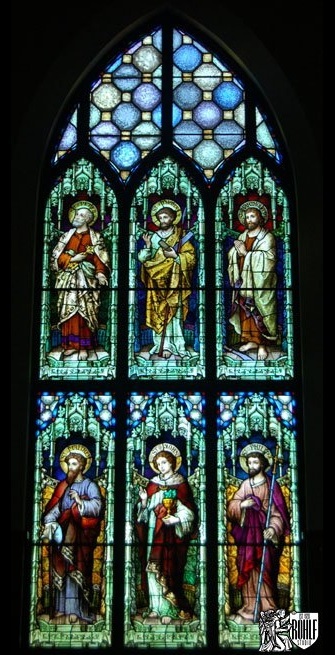 All lancets restored and new tracery fabricated by Rohlf's Studio at Blessed Kateri Church in LaGrangeville, NY. 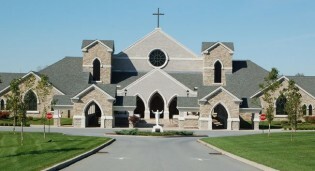 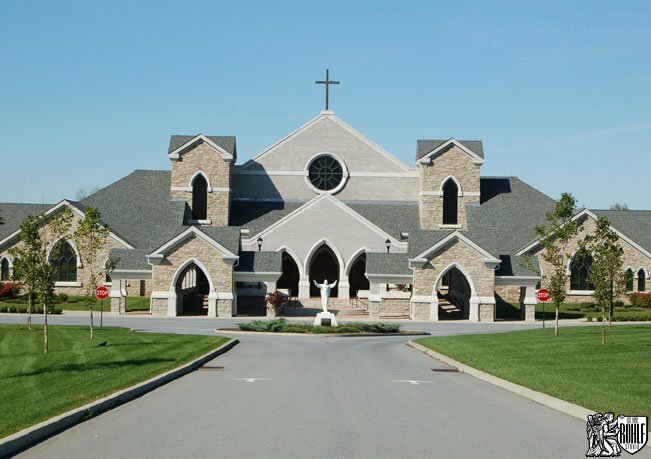 Blessed Kateri Church in LaGrangeville, NY. 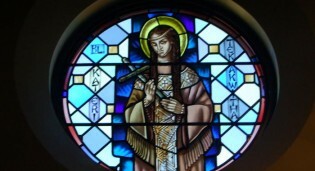 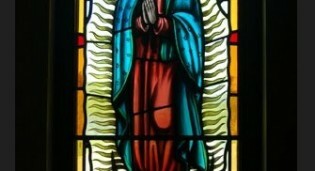 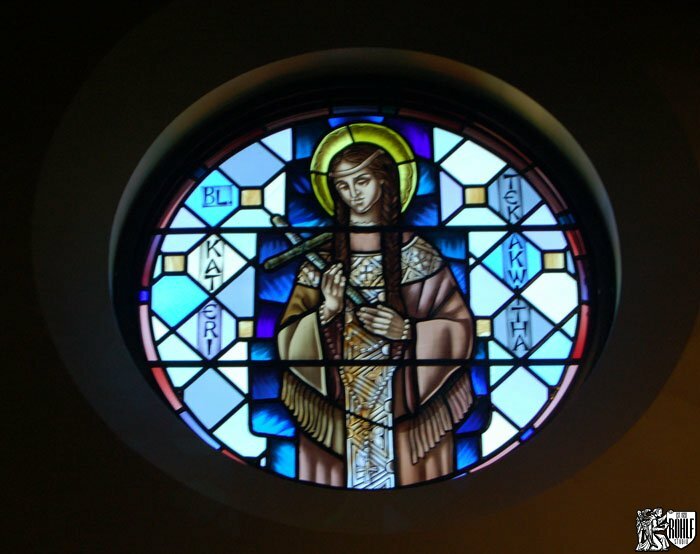 New painted stained glass figure of Blessed Kateri Tekakwitha by Rohlf's Studio at Blessed Kateri Church in LaGrangeville, NY.